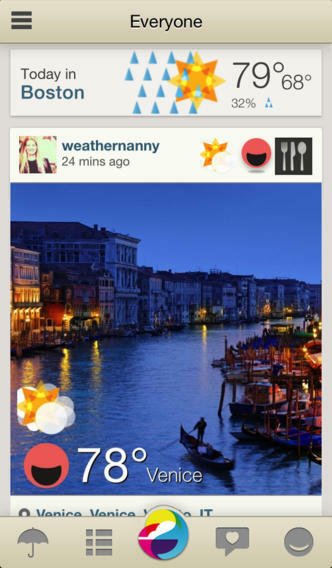 WeatherMob is a social network centered around weather and location conversations. Participants share mood, forecast, and photos. I worked on the UI and client-side network library for WeatherMob. The 2nd version of WeatherMob was with the folks at Yeti.